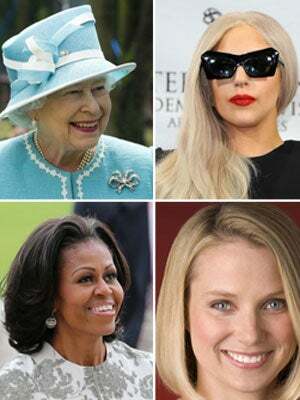 Forbes' list of the world's most powerful women consists of plenty of deserving shoo-ins and a handful of shockers. First of all, Lady Gaga (number 14) is more powerful than the queen of England — by more than 10 spots on the list of 100. Most of the ladies who ranked are political figures and business execs, but fashion has a healthy presence, as well. Diane von Furstenberg, Miuccia Prada, and Gisele Bündchen are all on there. And, of course, Anna Wintour made the cut, but we bet she's scowling behind her sunglasses to find herself at number 51. Do you think celebrities like Sofia Vergara and Lady Gaga belong on the same list as Angela Merkel and Hillary Clinton?